​Are you an alumnus or former college intern of the Gettysburg Children's Choir? Then you are cordially invited to join us in celebrating our 20th season! We are hosting an alumni reception at 4PM at the refectory across the street from the chapel at the Gettysburg Lutheran Theological Seminary. Come enjoy catching up with old friends, interns, and directors, then join us for an hour-long rehearsal prior to the concert. 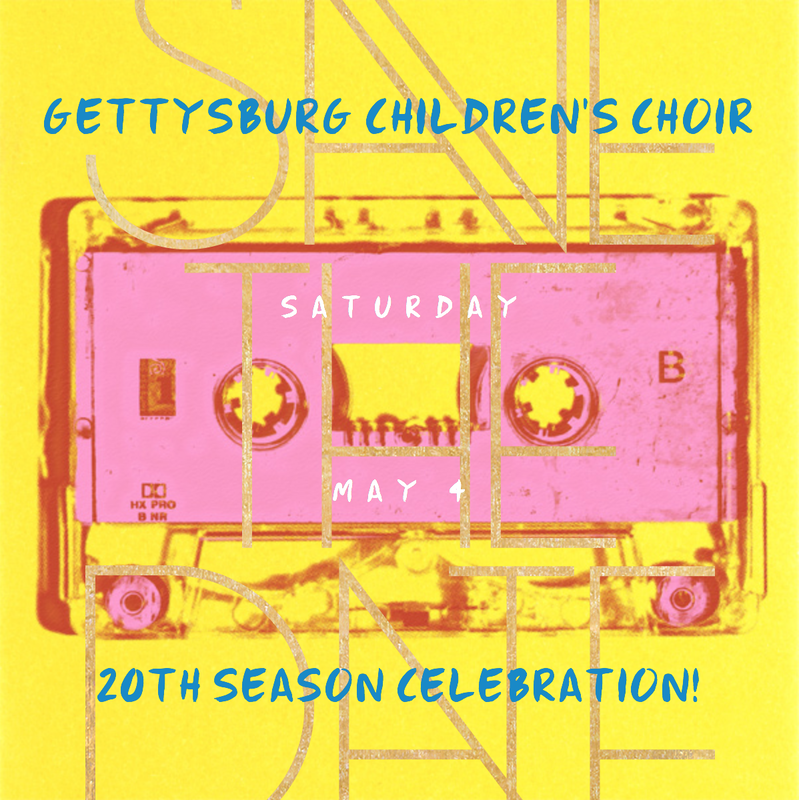 Watch the children's choir and chamber chorale perform highlights from our 2019-2020 season and join them on stage for a few numbers during the concert at 7PM. Following the concert, join us for our 20th Season Celebration. Please RSVP to gettysburgchildrenschoir@gmail.com by March 1, 2019. Dr. Talbot will send you pdfs of the music to prepare for our concert.